The meeting is from 6 to 8 p.m. Tuesday Aug. 30, at Kenmore City Hall, 18120 68th Ave. NE, in the Community Meeting Room and Council chambers. (Directions: https://goo.gl/maps/11PRNoteoCk) Note to media: Since an initial meeting announcement was sent to stakeholders, the original meeting date of Aug. 29 had to be rescheduled to Aug. 30. 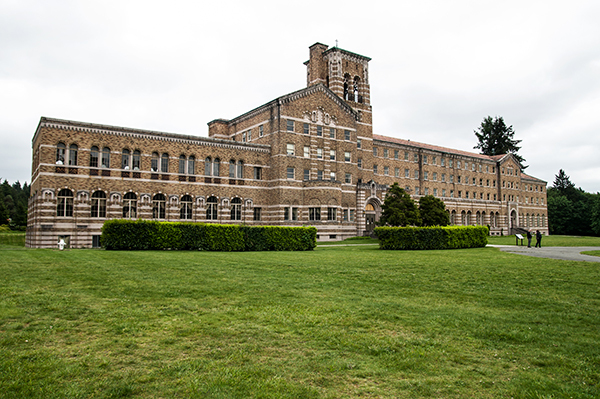 Staff will make recommendations for action by the Washington State Parks and Recreation Commission that will determine if the agency could enter into a long-term, 62-year lease of the Seminary with a private entity. The 2016 Legislature passed a law (ESSB 2667) granting the Commission authority to enter into a lease with a private entity at Saint Edward State Park under specific provisions: The Commission would need to find that a Department of Commerce feasibility study fails to identify an economically viable public or nonprofit use for the property that is consistent with State Parks’ mission. Such a use also would need to proceed on a reasonable timeline. At the Aug. 30 meeting, the public can review Commerce’s feasibility study and Parks staff recommendations and ask questions of Parks and Commerce staff. Park staff will present their recommendations to the Commission for action at its next regular meeting on Sept. 22, in Sequim. State Parks staff preliminary staff recommendations (will be posted by Aug. 26). Print copies will be available at the Aug. 30 meeting. For those unable to attend this meeting or prefer to comment online, comments may be submitted via the “Public Comment” link on the planning web page. Comments from the public meeting will be presented to the State Parks Director and Commission for review prior to any Commission action. For questions about the project, contact Michael Hankinson, Parks Planner, (360) 902-8671, michael.hankinson@parks.wa.gov. For nearly four decades, the Saint Edward Seminary building sat mostly vacant and fell into disrepair over the years. During this time, numerous proposals and planning efforts have been considered but did not come to fruition because they were too costly, did not meet the State Parks’ mission, or were not viable for a number of reasons. The Commission has been considering a proposal from a private developer to rehabilitate the structure for modern use that aligns with State Parks mission of protecting our state’s cultural heritage.